GGC: Why do you volunteer with GGC? AD: If we include my time as a Girl Guide in Trinidad and Tobago, I have been involved in Guiding for approximately 17 years. The joy I get from being a part of the organization has never stopped. However, it was heightened when my daughter (Ayesha) became a Spark. I started my volunteering when she became a Guide when I was asked to manage the finances of her Unit (after the leader responsible for finances left Toronto). I know that I volunteer with GGC because of what it does for our girls. GGC: What do you give to Guiding and what do you get back? AD: I can truly say that all I give to the GGC is my time and my heart, but what I get out of it cannot be put into words. For example; as a part of this year’s Audit Committee, reviewing the books of other Units gave me a reinforcement that the organization is being well run and in the best interest of our girls. KS: It’s fun. My mom signed me up when I was six and I spent twelve years having fun with my Guiding friends doing arts and crafts, playing games, camping, traveling and learning along the way. (Although I certainly didn’t realize how much I was learning at the time!) I want to give another generation of girls the same opportunities to learn and develop those many important life skills that I learned in Guiding by providing them with fun and challenging activities. Also, once all the planning and paperwork is done and the activities are organized, I get to have fun again along with the girls. If I wasn’t a Guider, I wouldn’t have discovered how fun jumping on a trampoline is or how challenging lace making is. The possibilities of fun and adventure for the girls and the Guiders are endless! KS: I try to give the girls a chance to learn and grow as individuals. I try to give them the opportunity to try new things in a safe environment while gaining confidence and independence. And hopefully, I give them a chance to have fun and make memories that will last a lifetime. Whether they are a five-year-old Spark who goes on their first camping trip, sleeps in a tent, cooks their meals and does their chores or they are a Pathfinder who is faced with different languages, currencies, food and customs while traveling overseas, I try to provide meaningful experiences that will help shape their lives. I get many of the same things that I give. I learn from each new program challenge, camp or field trip I take on and even from each new Member I meet. I also get to try new things, learn and grow in a safe environment. For eight summers, I have been running a Guiding day camp. Pathfinders and Rangers act as camp counselors to the Spark, Brownie, Guide and even many non-Member campers. Every summer I organize field trips, swim time, a sleepover or camp-out and tons of other fun activities around a common theme. Everyone has a great time and many campers return year after year. Without the support of the organization, I would never be able to accomplish something like that in my community. 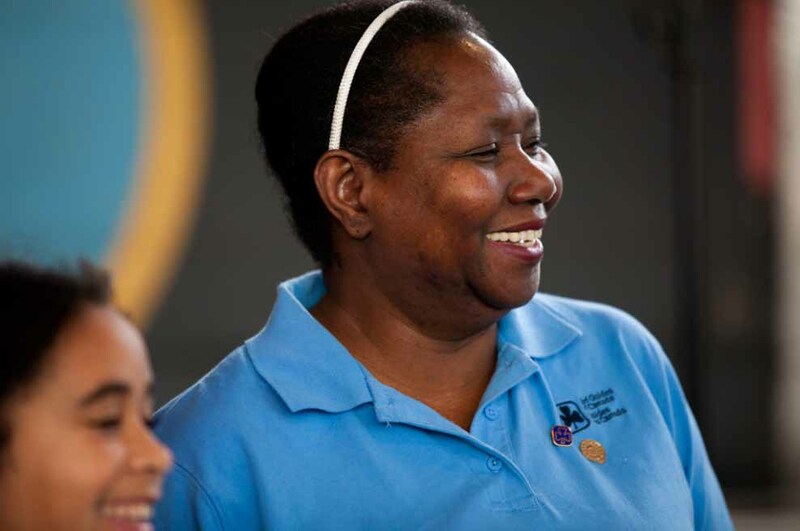 To the rest of the Guiding Stars out there, tell us why you volunteer with GGC. What do you give and what do you get? 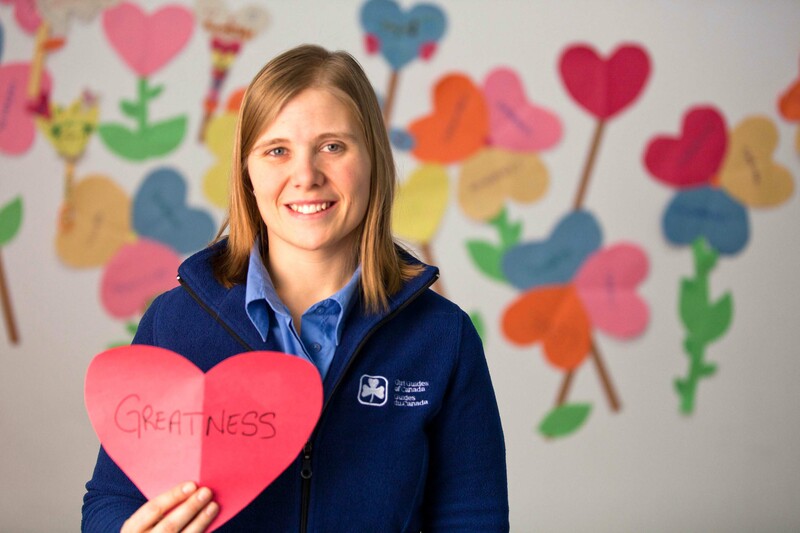 This entry was posted in Girls' Guides and tagged National Volunteer Week, volunteer. Bookmark the permalink. What does it take to put on a week-long camp for 1400 girls ages 10 – 18? A lot of volunteer woman hours by 600 Patrol Guiders and Core Staff! The week of camp alone, the setup and cleanup will accumulate some 133,344 hours of volunteer time. That does not count the 2 years of preparation by the volunteer Steering Committee or the hours spent by the volunteer Core Staff in preparation for their roles at camp. The tasks a volunteer may take on will stretch their usual roles and comfort zone in daily life for many. Imagine being the site manager looking after ordering porta potties, propane tanks, marquis tents, water distribution including disposal, garbage removal, recycling and everything else that would be needed in setting up a small community of 2000 people! How would you like to be the Food Manager looking after the menu and ordering the food for 2000 people for the week-long camp? Or the Health Services Manager setting up a 24 hour Health Services site at the camp? Or the Security manager looking after the setup of 24 hour security for the site. Or the program manager – setting up the program offerings and the registrations? The learning curve is huge! The rewards are also huge seeing the 1400 girls having a great time and saying they can’t wait to come back to SOAR. Many older girls come back as Patrol Guiders and as Core staff. And many, many Guiders have been staff at all of the previous SOAR camps!